Email marketing is an important component of modern digital marketing. Check out our simulation tool to learn how developing web traffic and converting visitors to leads becomes a major contributor to your marketing strategy and business development goals. Email database contacts decay at over 20% per year. Inbound marketing strategies can more than compensate for the decay and substantially develop your contact database. Customer churn is the silent killer that takes down a business over time. It costs more to acquire a new customer than it does to keep an existing one and, in a mature, slowly contracting market, it's important to implement strategies to reduce churn. 10% churn reduces sales by 50% over a four-year timeframe. A million dollar dealership becomes a half-million dollar dealership within four years. A massive transition from analog to digital is underway. Nothing can stop it and independent office products resellers must join the digital revolution before it's too late. Leveraging technology alongside inbound digital marketing can reduce churn and improve conversion rates. 10% churn Vs. 5% churn causes a business to decay 35% faster. A business with 6% conversion rate through the sales funnel Vs. 2% requires 90% less web traffic to achieve the same sales goal. You may have thought email marketing was to prepare an email, assign a contact list, and hit send. That may be the mechanics of the process but not if you expect to make any money doing so! That the most effective way to get a message directly to your contact is via email. 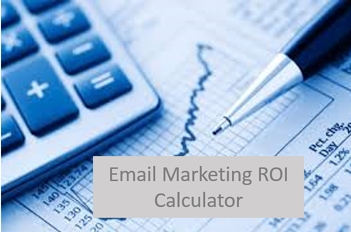 That returns of up to $40 for every $1 spent can be earned through email marketing. How important it is to send the right content to the right place at the right time. One size does not fit all if you want to maximize the returns on your marketing. Social Media - love it or hate it, it's not going away! Almost every business using digital marketing is also leveraging social media. Although you can't develop an audience overnight it must be started sooner than later. Consistent audience building over 4-years can lead to the development of a significant audience. Taking care to build a relevant audience and engaging with that audience becomes an asset that places a greater value on your business. With or without paid advertising this audience can become a major source of traffic to your website. How much is it worth to you to know what printers your customers and prospects are using, how much they print, and when the cartridges are going to run out? It's simple to install a data collection agent and gather the business intelligence you need. You can dramatically reduce your churn rates. Increase your customer acquisition rates and reduce the cost of acquiring new customers. Your business plan may look great on paper but how do you test it for reasonableness? Use our calculator to determine the market share you need to develop in your local market to achieve your sales goals. A local market with a population of 350,000 spends around $2.25M on ink and toner every month. If ink and toner makes up 25% of the total spend on office products, then $10 million is spent on office products every month in that market. A 1% market share creates a business with $1.2 million in annual sales! How do you quantify the value of a website visitor? There's a lot of variables as you've learned from our blogs and from these calculators. Use this calculator with your KPIs to discover the value of your visitors. The value of a site visit. The different costs from the different sources. The sources you got your highest conversion rates from. Would you be able to better focus your efforts on developing the best traffic from the best sources? What does it cost to acquire a new customer (CAC) and what is the projected lifetime value (LTV) of that customer? Understanding your CAC Vs. the LTV determines whether or not you have a viable business. That Life Time Value is calculated by multiplying the average annual sales revenue by the average lifetime of a customer. The Cost of Acquiring a Customer is your total sales and marketing cost for a year divided by the number of new customers you obtain. If your CAC is greater than your LTV you are going out of business! If you're a typical office products reseller you're probably not using social media to develop your business so, most likely, you'll not know what results may be possible from paid social advertising. How many click-through's you may expect from a set budget. How often a visitor converts to a lead on your website. What the value of a lead is to you. What the ROI may be based on your customer lifetime value. Office products is a mature industry entering a slow decline. Use our calculator to see how to digitally motivate your salespeople and avoid losing your best people as their commissions reduce in a shrinking market. The value of a social audience. The value of an email contact database. The value of a website visitor. The threat of churn, the cost of customer acquisition, and the lifetime value. Customer retention and conversion rates through the sales funnel. Don't you think it's time you implemented a digital sales compensation plan to motivate development of these digital KPIs? Inbound Marketing is not a silver-bullet solution and it's certainly not free. Build your four-year plan with our interactive calculator and see the potential returns on investment from inbound marketing. Inbound works for B2B and B2C. Inbound has become the dominant marketing strategy for companies with less than 200 employees. Big budget or small - everyone gets big returns from inbound.